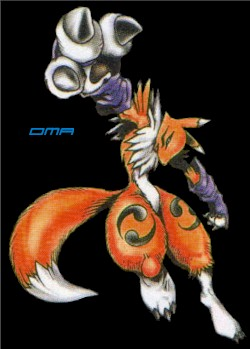 Beast type Digimon that the form of a fox that tosses about the opponent with her speed. 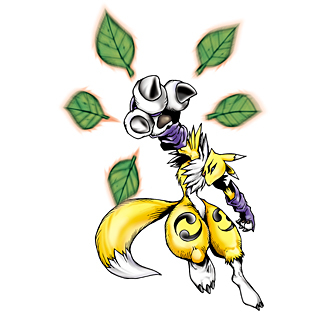 She trains for any kind of circumstances in order for calm judgment to be made. 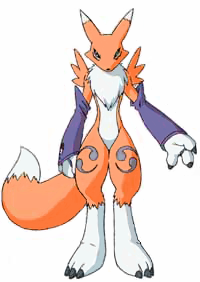 She can have good relations with her tamer, it is said that in comparison with other races, depending on the method of raising from the Fresh stage, that she has reach the point where she has high intelligence. 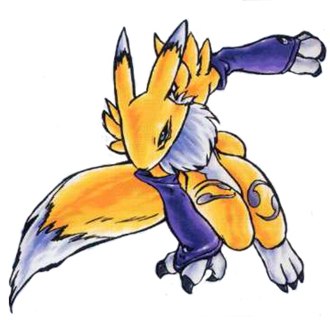 The original name for this Digimon was Lunamon. Origin / French. 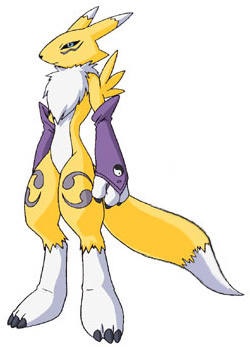 Rena is short for renard, which means fox.